This weekend I had to go to bridal shower, and I wasn't sure at first what to wear. With Spring temps it's hard to decide on something! After a while of debating, I decided to pull the following together from my closet. This Free People dress is one of my favorites and I've worn it so many times! The material has a beautiful texture to it and the colors on the flowers are so pigmented! It also has a great A-shape which works on almost all body types. 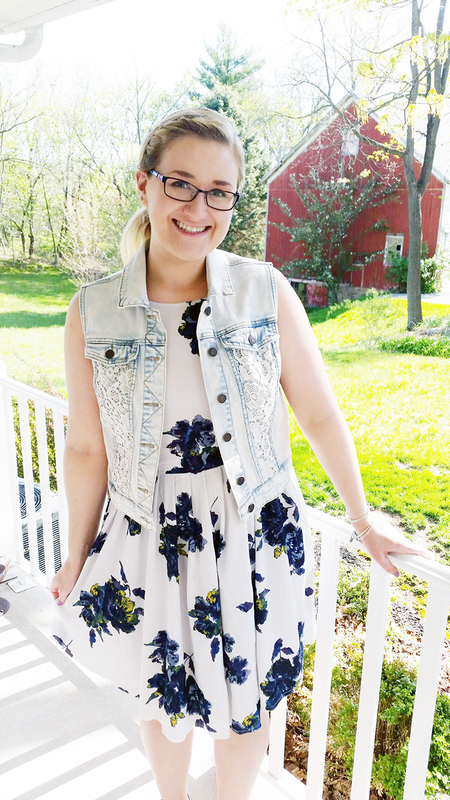 Because it was sort of cold I decided to pair my dress with a crochet denim vest from Target. Although it's not available anymore, I found an almost exact match from Burlington Coat Factory for only $12! For my shoes, I decided on these gorgeous Ivanka Trump wedge sandals I got for a steal during the Nordstrom Friends and Family Sale. What I love about Ivanka's shoes is that most of her wedges are made with cork. It's a great material for sore, tired feet since it has a lot of absorbtion. 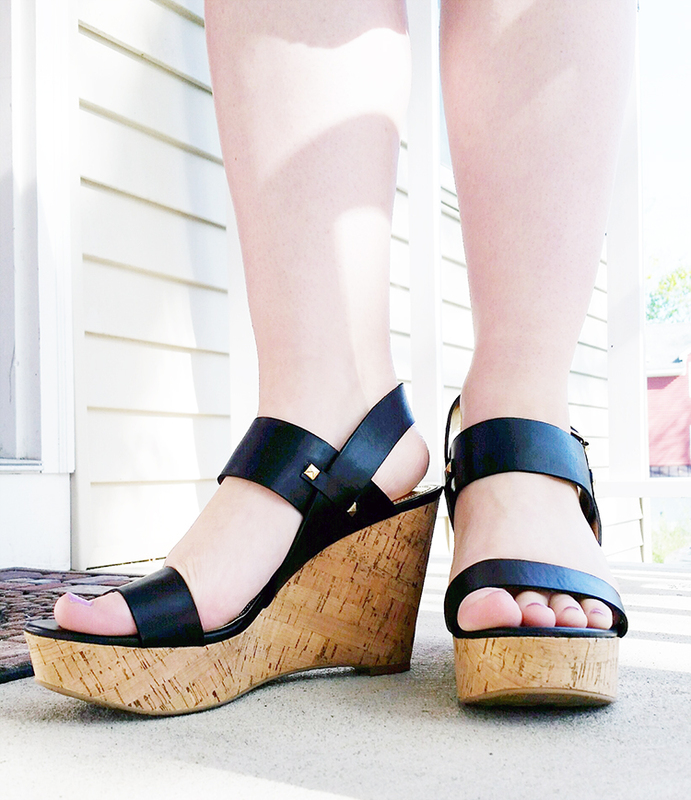 If you hate high shoes like me because of the pain, splurge on some cork wedges! It's well worth it! In other news, I was invited to be part of the Lions Home blog directory! I'm really excited to be part of their website, and am looking very forward to the change! To check them out, click the small icon on the right column of my blog. You can't miss it! Wishing everyone an amazing week as always! !